Puerto Rico is a destination of cruises out of Tampa, Florida. The complete schedule of departures is below. 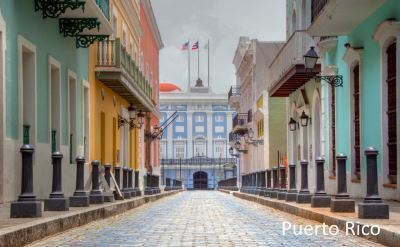 Puerto Rico is an island in the Caribbean and a US territory. It is located close to the Virgin Islands and the Dominican Republic. 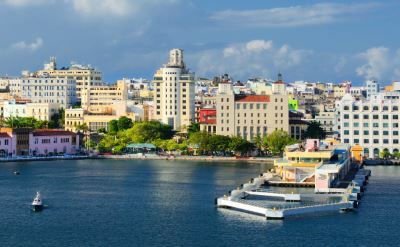 San Juan is the capital and the cruise port. Many fun shore excursions are available in Puerto Rico for cruise passengers. There are activities for everyone. Go horseback riding. Rent waverunners. Fly down the longest zip lines in the world at La Bestia. Relax on a beach break at Balneario Escambron. Tour Old San Juan and the El Morro fort. Enjoy the Bacardi Rum factory tour. Get out into nature in the San Juan El Yunque rainforest and waterfall excursion. 11-day Caribbean cruise on Norwegian Cruise Line. Round-trip from Tampa to St Thomas, Antigua, St Lucia, St Kitts and Puerto Rico. 12-day Caribbean cruise on Norwegian Cruise Line. Round-trip from Tampa to St Thomas, Antigua, Barbados, St Lucia, St Kitts and Puerto Rico. • 2020 departure: January 21. 14-day Caribbean cruise on Norwegian Cruise Line. Round-trip from Tampa to Grand Cayman, Aruba, Bonaire, Barbados, St Lucia, St Kitts, St Thomas and Puerto Rico.